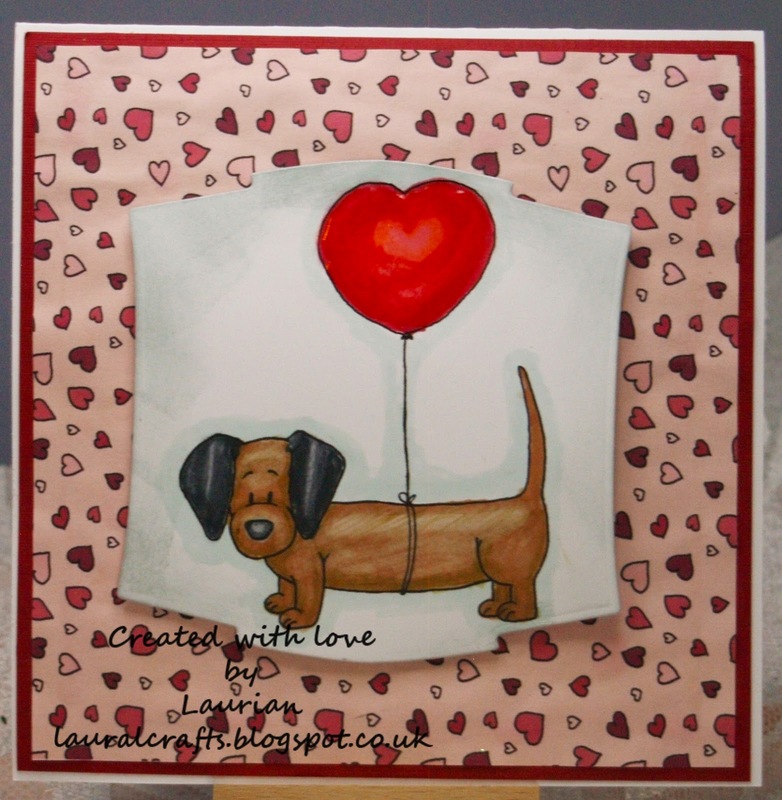 Outside the Box: A Dachund in Love! This is the sweet image that Gerda Steiner has for the Progressive Challenge for February, she also gave us the gorgeous paper too! I resized the paper to fit the card and coloured the image with Promarkers and gave the balloon a coat of gloss! Why not sign up for this wonderful challenge and get some cute, cute images to play with! Super cute Laurian I love the background paper you used. Thanks for joining Gerda's January Challenge. So What's Your Favourite Colour?